Before 2006, Medicare did not cover prescription medications, at least not most of them. A limited number of medications were offered under Medicare Part B, but otherwise, you had to pay for your medications out of pocket. That all changed when President George W. Bush passed the Medicare Prescription Drug, Improvement, and Modernization Act (MMA) in 2003. The law created what we now know of as Medicare Part D, an optional part of Medicare that provides prescription drug coverage. Part D plans are run by private insurance companies, not the government. However, the federal government sets guidelines on what basic medications these plans must cover and on how much you can be charged. This guide outlines all you need to know about what you will pay for Medicare Part D this year. A deductible is the amount of money you spend out of pocket before your prescription drug benefits begin. Your plan may or may not have a deductible. The maximum deductible a plan can charge for 2019 is set at $415, an increase of $10 from 2018. A premium is the amount of money you spend every month to have access to a health plan. The government sets no formal restrictions on premium rates and prices usually rise every year. That is not the case this year. In 2019, the basic premium for the minimum Part D plan is set at $33.19 per month, a decrease from $35.02 in 2018. Plans with extended coverage may cost more. Do not confuse the national base beneficiary premium (NBBP) with your monthly premium. Although the numbers could technically be the same, they rarely are. The NBBP is a value used to calculate how much you owe in Part D penalties if you sign up late for benefits. Your best bet is to avoid Part D penalties altogether, so be sure to use this handy Medicare calendar to enroll on time. The NBBP is set at $33.19 in 2019, a decrease from $35.02 in 2018. The government also charges you extra for Part D coverage based on your income. This is known as Income-Related Medicare Adjustments Amounts (IRMAA). You will pay monthly IRMAA to the federal government as well as monthly premiums to the insurance company. In 2018, IRMAA changed the categories of income so that more people will be required to pay a surcharge. In 2019, they added an extra category. If you do not pay your IRMAA in a timely fashion, your Part D plan could be canceled. Medicare Part D is far from perfect. In fact, it has a big hole in it. The so-called donut hole is a coverage gap that occurs after you and Medicare have spent a certain amount of money on your prescription medications. After that amount is spent, you are left to pay for your medications on your own until you spend enough to earn "catastrophic coverage" through your Part D plan. The donut hole narrows in 2019 thanks to the Affordable Care Act, aka Obamacare. Starting in 2013 regulations in the Affordable Care Act gradually decreased how much you would be forced to spend out of pocket on your medications. If these regulations continue, i.e. if the Affordable Care Act is not repealed, the donut hole will be closed by 2020. Until then, the amount that you pay before you enter the donut hole, known as the initial coverage limit, increases from $3,750 to $3,820 in 2019. This is great news. It means that it will take longer before you enter the donut hole. Once you are in the donut hole, instead of paying your usual Part D copayment amount, you will pay 25 percent for brand-name medications (70 percent is paid for by a mandatory manufacturer discount and 5 percent is paid for by your Part D plan) and 37 percent for generic medications (63 percent is covered paid for by a manufacturer discount), not your usual copays. Each year through 2020, you will pay smaller percentages on your medications until the donut hole is closed at 25 percent. You will spend $1,280 in the donut hole for 2019, a $30 increase from 2018. After you have spent this amount, you enter the phase of catastrophic coverage where you will pay only $3.40 for generic drugs and $8.50 for brand-name medications each month. Prescription medications can be costly but don't let that intimidate you. 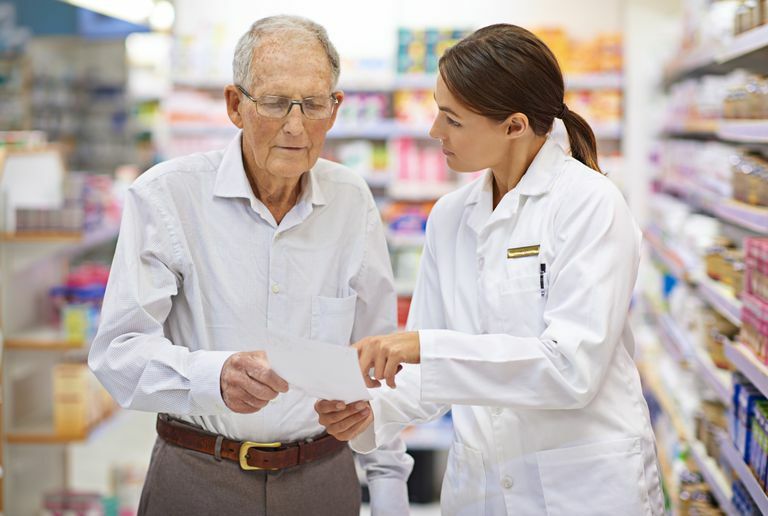 Know what your Medicare Part D plan covers and how much you can expect to pay. With this information in hand, you can budget for the year ahead and keep any surprises at bay. Costs for Medicare Drug Coverage. Medicare.gov. https://www.medicare.gov/part-d/costs/part-d-costs.html. What Happens When Medicare Runs Out of Money? How Much Will You Pay in Medicare Taxes?